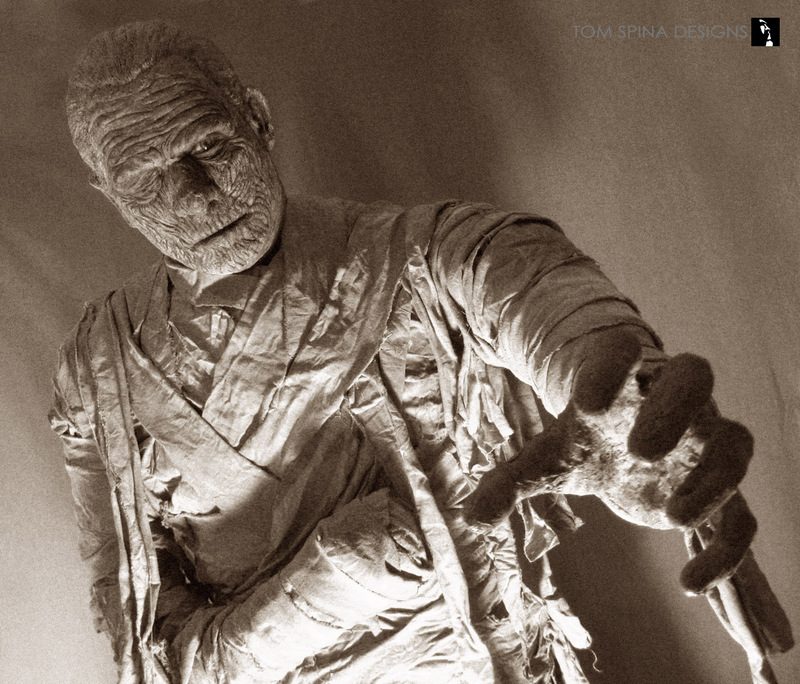 Our life sized Lon Chaney Mummy mask or bust on a wax museum style mummy statue for Monsterpalooza! 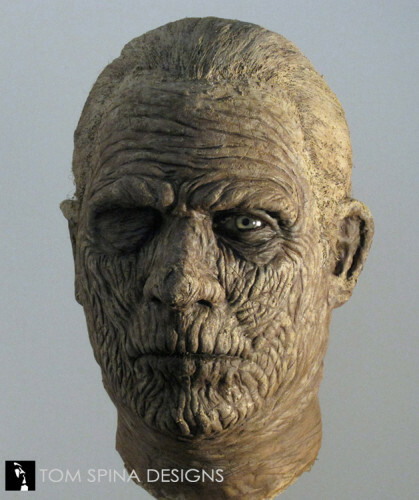 Our portrait bust of Lon Chaney Jr. as the Mummy, who took over the iconic bandaged role for Boris Karloff in the later sequels. 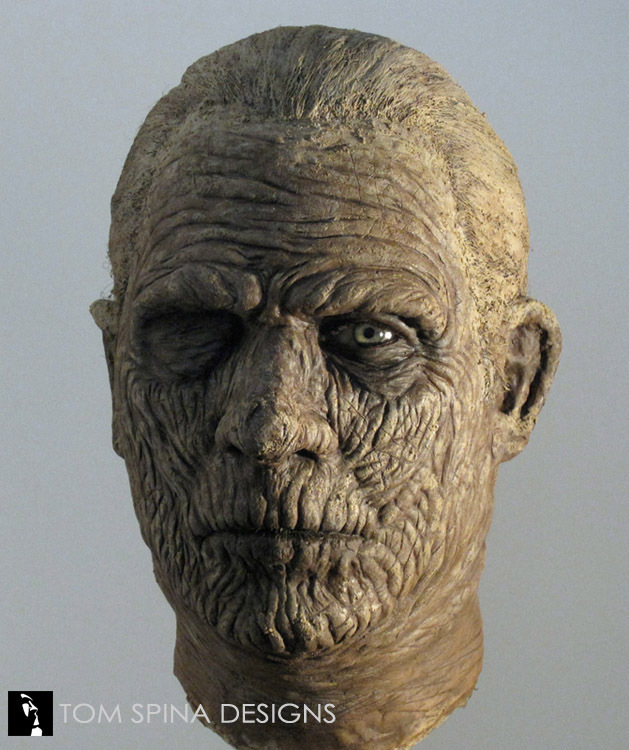 The Mummy mask was created for a lifesized statue display at the Monsterpalooza trade show museum, where FX artists from Hollywood and beyond showcase their latest works and tributes to the classics that inspire us! 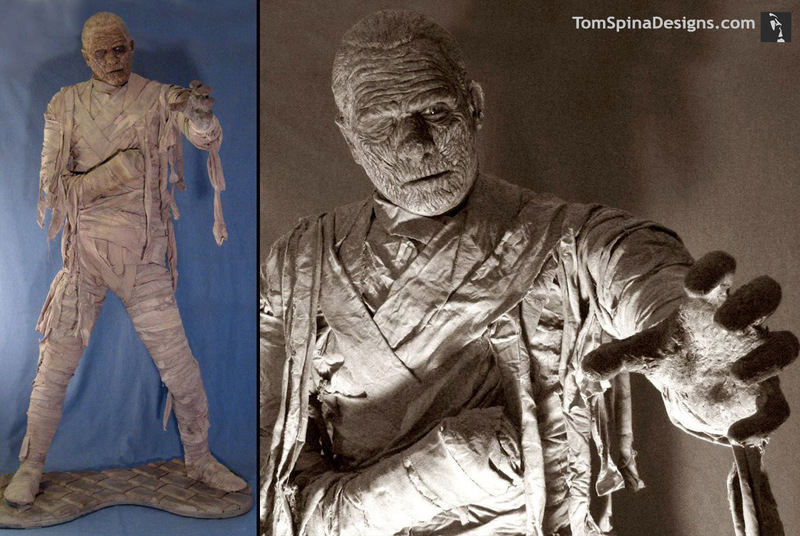 Working from movie stills and reference, sculptor Tom Spina created a clay bust of actor Lon Chaney Jr and from there, sculpted in the “makeup” of mummy character. This allowed us to capture the look of the monster, but also the hint of the man beneath the mummy mask! 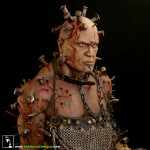 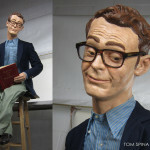 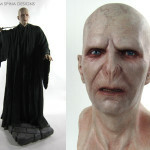 It was completed as a life-sized wax museum style figure for the show and we had a great response to it! 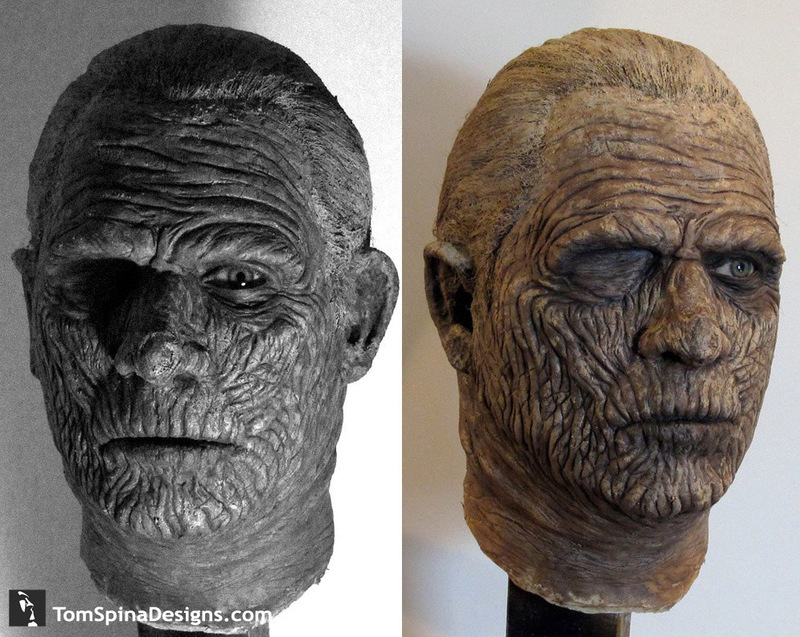 Ron Chaney, the grandson of the original Kharis actor, Lon Chaney Jr. even got to see it on display at the museum! 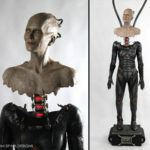 A highly custom mannequin like this one can bring life to your trade show booth, theme park or haunted attraction, marketing campaign or retail window display!